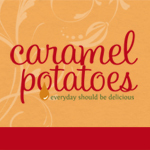 Buried deep in the recipe archives of Caramel Potatoes is one of my all-time favorite recipes: Mexican Rice with Cotija Cheese. I love, love, love this rice. I especially love with Honey Lime Enchiladas or with Grilled Fajitas! This one definitely needed a new pictures and to be shared again. I know rice is a simple side, but for me it makes all the difference. 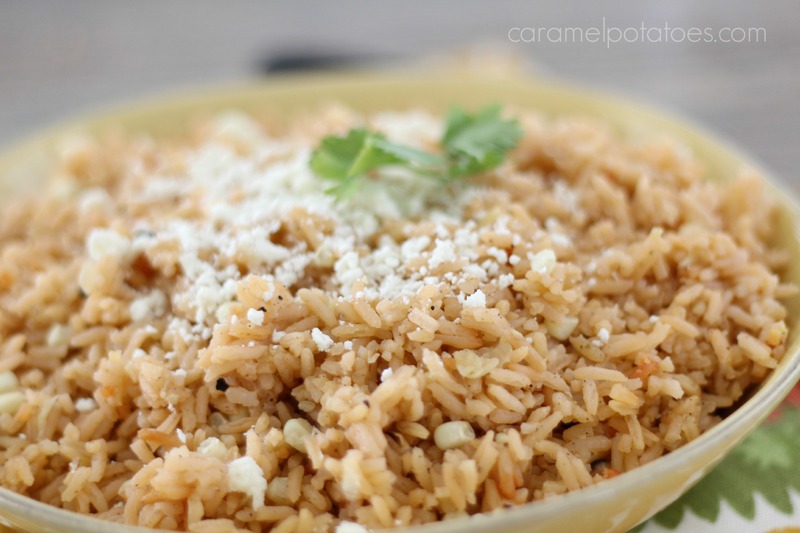 The secret to the wonderful flavor in this rice is Tomato Bouillon which you can find in the Mexican Food section of your local grocery store. 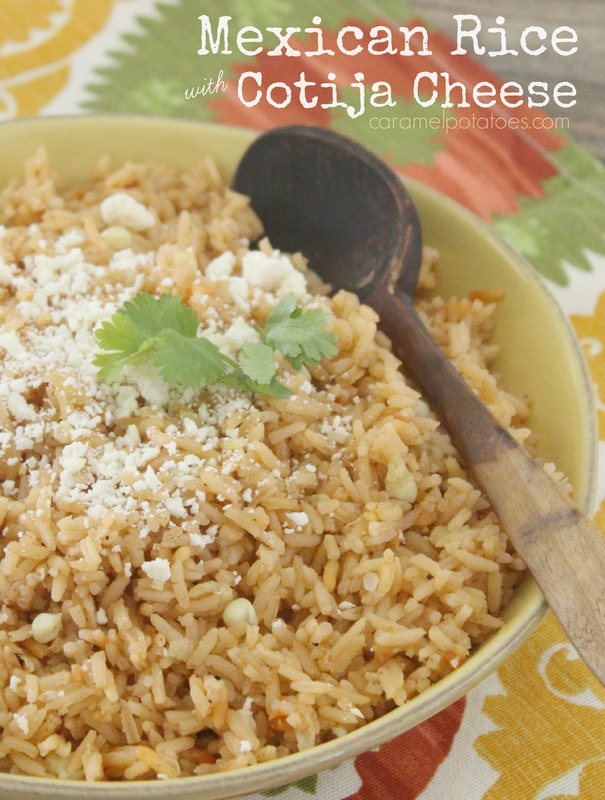 The second reason I love this rice is the Cotija Cheese! No matter what the recipe says below, you can be sure I’m adding extra!! Heat oil over med-high heat. Add garlic, onion and cumin and saute for 5 minutes. Add rice and cook until rice turns transparent; stirring frequently. Add water and bouillon to the pan. Bring to a boil. Cover and turn heat to low. Simmer and cook for 20 minutes. Fluff the rice with a fork and add the corn. Crumble cheese and stir into the rice. Notes: I have small children so I dice my onion very small; they don’t even know it is there. But if you like to know there are onions in the rice dice them larger. 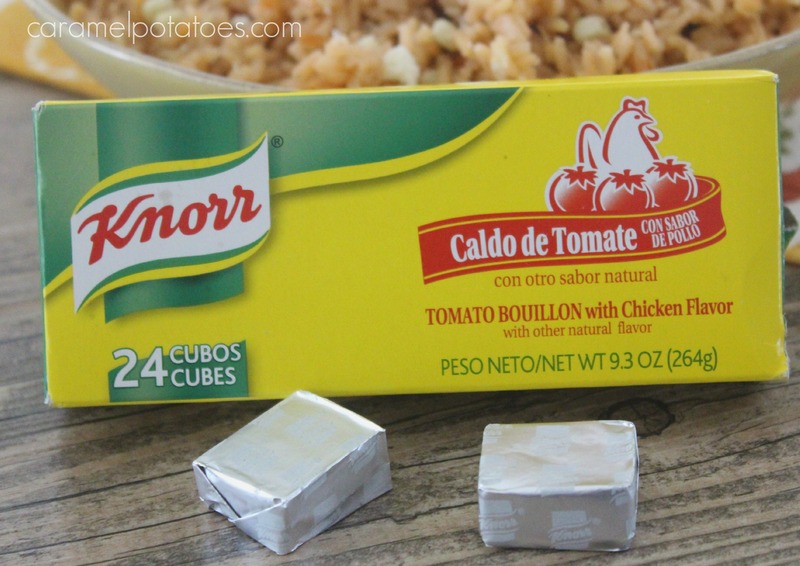 The tomato bouillon can be found in your grocery store’s Mexican food aisle. The cotija cheese is with your specialty cheeses rather than your deli cheese, but widely available.